By renewing their IT systems, Bergans of Norway is set for an innovative future of enhanced customer experience. “A few people have commented that the screen looks a bit different, but that’s about it. I’m not used to everything going so seamlessly,” says a delighted Espen Jensen. He is the IT Manager of Bergans of Norway, one of the country’s leading brands in outdoor gear and clothing. The previous week, the IT startup, Ironstone, made elaborate changes to Bergans’ login systems. Like many companies these days, Bergans needs to take a step forward, technologically speaking. The outdoor giant has many innovative plans for their brand stores, where artificial intelligence will provide a unique customer experience. Forward-thinking ideas on how to provide people with clothing and equipment, are also close to being realized. But in order to achieve these lofty goals, Bergans is in need of an upgrade to their IT systems. Ironstone—a company that specializes in cloud architecture, based on complex and extensive Microsoft solutions, is perfect for the job. Over the past six months, the two companies have collaborated closely on digitization, strategic counseling, artificial intelligence, and outsourcing of Bergans’ data center. Implementing cloud technology, has been especially important, since Bergans is a multinational company, with ambitions of further expansion into new markets. Its IT systems must be reliable and accessible worldwide. Bergans is, after all, renowned for its expertise in equipment for exploration. 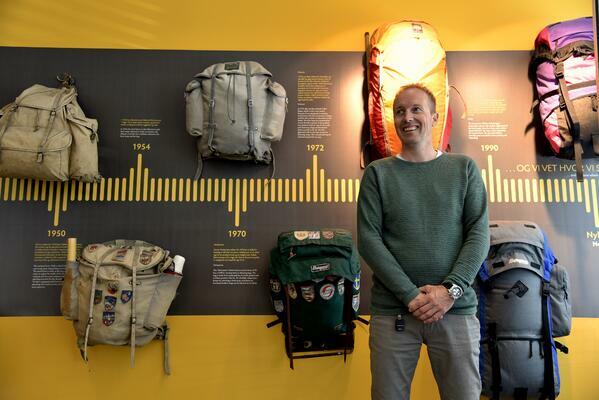 Founded in 1908, Bergans’ backpacks have been used by renowned adventurers such as Roald Amundsen and Robert F. Scott. More than a century later, they’re still pushing the limits. But despite the company’s size and history, its IT operations department consists only of Jensen and two colleagues. Their normal workload is more than enough on a day-to-day basis, and they simply don’t have the capacity for the enormous task of reworking Bergans’ outdated systems. “It’s crucial for us to have experts as advisors. My background is from the supplier side of the IT world, so we need input from people who know what they’re doing”, says Jensen. As a player in the hugely competitive gear and clothing business, security is of utmost importance to Bergans. For instance, the company has already completed next season’s collection, and has already set its sights on 2020. Keeping Bergans’ new and groundbreaking designs under wraps, is key, and Microsoft’s cloud solutions are both stable and secure. For their part, Ironstone is more than up to the task. The IT experts have done a thorough analysis of data center and personnel environments, followed by a comprehensive security check of Bergans’ systems. They searched for unknown IP addresses, and potential threats. All this, to bring Bergans up to speed in an ever-evolving technological world. "We can't afford to wait"
And the partnership has been a great success. In the past, Bergans used many different IT suppliers, but when Jensen started as the company’s IT Manager about six months ago, he was determined not to end up as just one of many clients in a huge consulting agency. “Ironstone’s main advantage is their availability. We can’t afford to wait for assistance if our webshop is down or account service isn’t working”, Jensen says. In Ironstone, Jensen’s found the perfect match—an IT provider that understands his company’s needs. This, in turn, allows Bergans to focus on the business side of things. With its systems safely established in the cloud, Bergans of Norway is ready to usher its customers into a digitized future, where cutting-edge technology and outdoor adventures goes hand in hand. Curious of how we can help you?